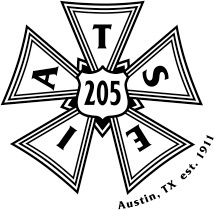 These instructions were adapted with permission from IATSE Local 23’s website, and the screenshots refer to their call steward pages, but will operate identical to Local 205’s. 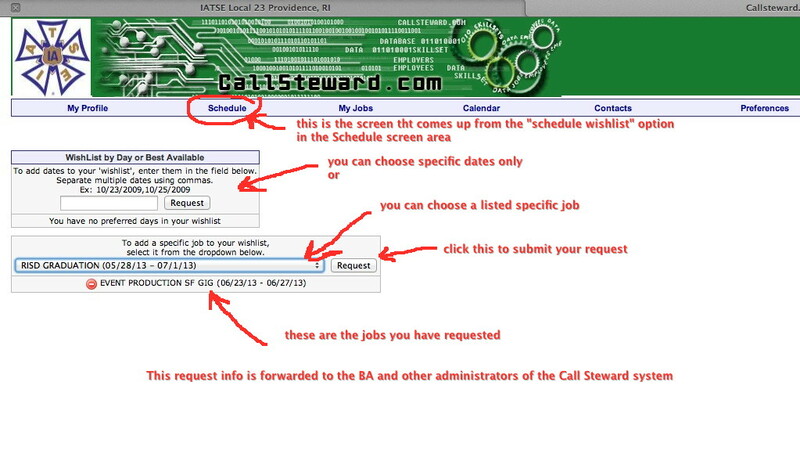 We are currently incorporating the Call Steward system into the Hiring Hall call-in and crewing methods. For the integration phase however, the best method for requesting work is still to call-in every monday to the Hiring Hall at (512) 371-1217, or send an email to gro.5155571220502est1555712205ai@ll1555712205ahgni1555712205rih1555712205. Questions or comments about Call Steward should be directed to the Assistant BA, gro.5155571220502est1555712205ai@ab1555712205-tnat1555712205sissa1555712205. 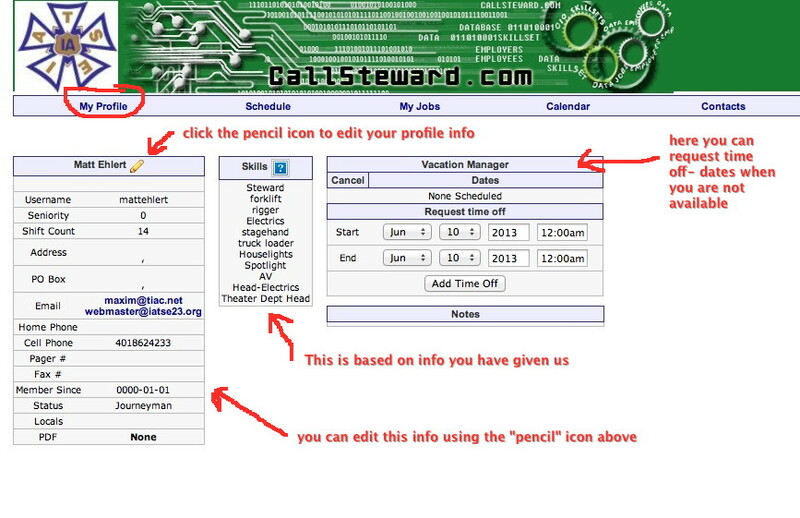 Here is how to use the “Call Steward” system. … (these will open in a new tab or window), you will see this screen, prompting you to enter your login info that you were given by Local 205. Wishlisting a work date or scheduled call. 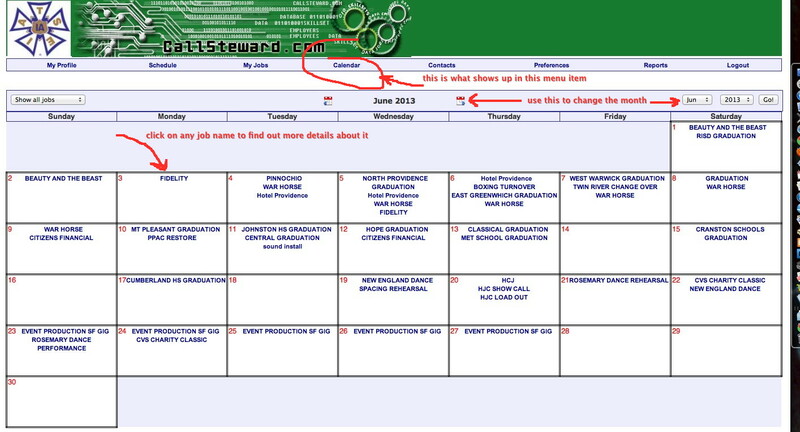 Here you can request specific dates or jobs, and that info is forwarded to the Local 205 BA and other administrators of the Local 205 Call Steward system. You will be notified if you are scheduled for anything. You can choose to be notified by text to your phone in some of other options described below. …here you can do such things as change your password and address/contact info.